Opal Margaret Moore Elliot will turn 100 years young on Aug. 9. 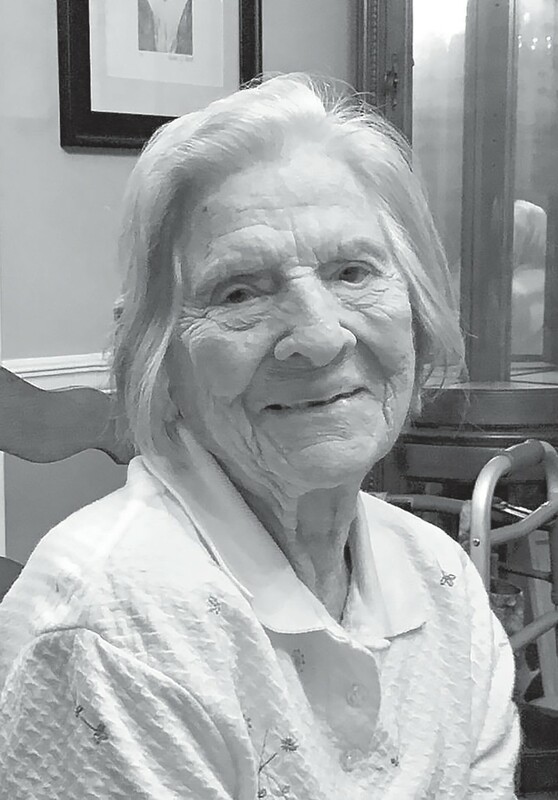 She was born in Blount County to Percy and Edna Moore of Allgood and grew up on the family farm there. She attended Shiloh Methodist Church and is a graduate of Blount County High School. She and Earl Elliot married in September of 1947 and they lived in the Ensley area of Birmingham for many years where they raised two daughters. She has lived in the Cropwell area since her husband retired from U.S. Steel in Fairfield. Happy birthday to Mrs. Elliot!